If dogs could talk, oh the tales they would tell. 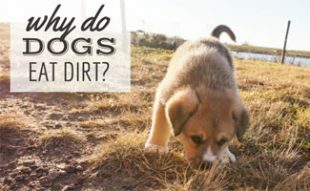 Truth is, dogs do communicate in many ways, and one of the more vocal ways they communicate, both with humans and other animals, is through whining. Dogs whine sometimes when they want attention, when they’re excited or anxious, or when they want to please you. In this article, we’ll discuss why dogs whine and how to stop a dog from whining. We’ll take a look at each of these types of whining, what they mean in dog speak, and actions that sometimes accompany them to help you ascertain the difference. Appeasement whining is often a response to submissive behavior toward humans or other dogs. So when your pup is looking to please or show you — or the dog next door — that he’s submissive to your Alpha dog status, he may let out a whimper or two. This is also often accompanied by the submissive physical reactions of tucking the tail or showing the belly. Greeting whining is motivated by excitement, and can be directed both toward your or other dogs. 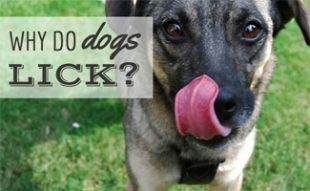 If your pup whines when you come home from work or at other dogs he sees on his daily walk, then he’s likely saying how excited he is to see everyone. You can expect some tail-wagging and smiling here, too. Just as it sounds, your dog may whine to get your attention. If you’re enthralled in your favorite show or working steadily on your computer, your dog may use whining to gently remind you that he’s here, he wants to be played with, needs to use the bathroom, or wants to go for a walk (like the boxer in the video below). In our experience, this type of whining is often accompanied by pacing or an intent stare, both of which are tough to ignore. Sometimes dogs whine when they’re anxious. They may be anxious about their surroundings, with other animals, or with a certain situation. Being in-tune with your pup will help you discern the difference in this type of whining and others. More specifically, separation anxiety whining is caused by your dogs distress when left alone for long periods of time or even concern when they sense you are about to leave. This type of whining is often characterized by drooling, pacing, panting, or destruction of indoor objects. A little less common — at least we hope! 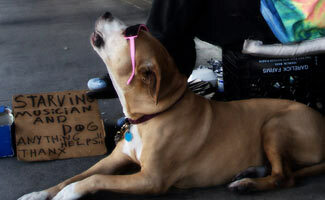 — is injury or medical whining in which your dog whines in response to pain or a painful action. 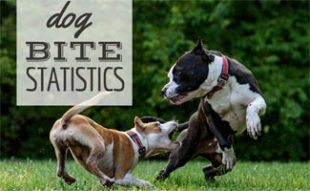 If you notice that your pup if frequently whiny, displays general discomfort while doing so, or just doesn’t seem to be whining for all the more common reasons listed above, it might be time to take your pet to the vet for further examination. All whining is not created equal, which is why before you even think of deterring your pup from vocalizing his emotions, you should be sure that he’s not being mouthy for a medical reason. Once you’ve ruled out any injurious reasons for his whiny behavior, you can set about figuring out what emotion is causing the whining — does he just whine a little when he’s excited to see you after a long day or does he whine incessantly to get your attention? — and decide from there how to handle it. We’re tackling these two types together because in both instances there’s some common ground: confidence. Often, when your pup whines to please and is in a submissive state, or when he whines to show anxiety, it comes back to your dog’s lack of confidence. Build up your pup, Alpha Dog! Increase their confidence with reward (read: treat) based obedience classes, or one-on-one play time, all the while showing affection and rewarding confident, focused behavior. Do not use physical or verbal punishment as it will counteract the positive effects you’ve worked — or played — so hard for. As his/her confidence grows individually, and in you as their Alpha, you should notice less whining in these situations. This might be the toughest type of whining to discern: Is your dog whining to let you know he needs to go out, or simply because he’s demanding your attention? Either way, it’s important that while your dog is in the act of attention whining that you do not acknowledge his behavior. Don’t get up to let him out, don’t pet him, don’t even look in your dog’s direction while he’s in the act of whining; even scolding him is attention and will be perceived as a positive response to their actions. Once your dog has stopped whining, take them out immediately or reward them with attention so they learn to associate being quiet with the attention they desire. We know ignoring is hard, so we suggest making sure your pup gets plenty of exercise and mental stimulation — play time or food-filled Kongs work wonders — to keep them from being so needy. Maybe it’s just us, but if our pup lets out a few cute whimpers to welcome us home, then we’re OK with that. He’s excited, we’re excited, and his whining isn’t a terrible thing when it’s so darn cute, right? 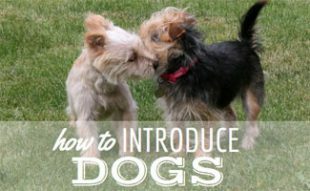 If, however, his “hellos” are getting a little out of hand, try greeting your pup with a calmer tone and demeanor — your pup will likely mirror your actions and will be a lot less likely to get rowdy (and subsequently whiny) if you don’t. Distracting them with an action or command as you enter — calmly of course — will also help keep your pup focused on a task rather than his or her excitement. Any tips or tricks up your sleeve to keep your pup from whining? How do i get my dog to stop whinning? He whines after a long walk he whines for no reason its driving me crazy…HELP!!! To what extent does it take to potty prepare a young doggie?. House instructing your little dog is concerning tolerance, and encouraging feedback. The objective is to ingrain sensible propensities and fabricate an in adoration bond together with your pet. It as a rule takes 4-6 months for a little dog to be absolutely house prepared. Be that as it may, a few young doggies could take up to a year. I took my puppy from a dog foster home about a year ago. I love him to bits; he has a great personality, and I feel that he loves our family so much. BUT he barksand whines A LOT. . So, leaving home is always a challenge for us. I thought this was a post on how to stop whining. Our dogs are outside most of the time (when the weather is right) and enjoy playing in the yard. We have 2 dogs. One of them never stops whining at the door unless she is eating or playing. Not even at night when we are sleeping and she is in her bad in the garage. We tried that solution under attention but it’s not working. Any other tips? Im having the same problem we moved so now my dog cant come in and out as he pleases no more doggy door his whining is DRIVING ME CRAZY!! Mike, we have so many thanks to give you! There was a problem with some articles on our site only showing parts of the articles. Thanks to you this was discovered and we were able to fix it! You should now be able to read the full article. Thank you so much for pointing this out to us! Hmmmm that’s odd. I will forward this onto our tech team. I’m seeing the full article in both Firefox and Chrome. Hopefully we can get this fixed for you. Sorry for the inconvenience and thank you for letting us know! Ikr!!!! I’m RIGHT there with ya! My issue’s actually with my roommate’s dog. He RARELY PLAYS with her. He SITS outside with her on a long leash but she gets NO one on one attention, love, or way to get her energy out. She is usually ok alone with a radio on but he forgot to leave it on & she’s not stopped whining. Mind you, he works 10-12 hr shifts!!! She’s a full grown husky & I’ve had 12 surgeries from a head on collision so I can’t play with her. She’s too rough for me. (I CAN play with smaller dogs & have TRIED to play with her) I can’t let her out of the room bc I have crafts all over the living room from Christmas & she honestly needs a bath, BAD. She sheds, obviously, & he’s not one to clean up after himself, much less her. YES, IT’S VERY SAD!!! I’m not sure what or if I can do anything but i WANT to. 🙁 Best wishes to you and your situation. **Backspaces to get to next article on Google. I took my puppy from a dog foster home about a year ago. I love him to bits; he has a great personality, and I feel that he loves our family so much. But, he howls a lot when he is alone at home. How to stop it? My husband and I were thinking about taking him to ‘doggy school’, but then again, it’s extremely expensive, and the nearest ‘doggy school’ is far away from us. Maybe you have some advice? Thank you! My older roommate (not here now) was AWESOME with her VERY hyper, socially awkward, NEEDY pup. She was a mall dog & they have LOTS of issues bc they miss the socialization most pups get when they’re babies upwards to a few months old. Rachael started her training on a weekend. She left Rylee alone 15 minutes at a time FIRST. She’d give her a GOOD treat BEFORE she left. They had a routine. She’d call her to jump & sit on the bed, “stay”, “good gurrrl”, treat given, “bye. Mommy loves you”, & she’d leave. (Future note: If you get distracted & have to do something or go BACK inside, you have to do the treat routine AGAIN…. EVERY TIME you LEAVE.) The idea is that the treat distracts them WHILE you’re leaving. She didn’t actually leave. She listened outside to see if Rylee cried. She DID. So she cut it down to 5 mins, then 10, 15, 20, 30, 2 hours, & so forth. After a couple days, Rylee was FINE!! YOU HAVE TO BE CONSISTENT tho. U CAN’T give in ONCE you’ve increased the time. It’s OKAY if they cry. The two full days teaches them that you ARE coming back. She also leaves music or the TV on. Hearing human voices is a comfort. She plays with her as SOON as she gets home too, at least 3 days out of the week. She buys her toys (& stores them hidden away) for the days she’s too pooped to play. This ALL reassures them that you’re coming home to REWARD good behavior. IF this won’t work, you’ll have to get a barking collar but TRY the 15 minute method first. You can google it and get better info on it. She is just scared bc dogs don’t grasp time like we do. Make SURE the treat is one that takes her/him a few minutes to eat too…or give them a few. If your dog stays out, do the routine in your room anyway just so they don’t SEE you leaving maybe. Idk. Google that part. Lol. BEST to you!!! My dog (male) whines all day everyday. Whines to get in, out, fed (even when food is already there). He just looks at me and whines. He is 10 years old and this has been going on for most of his 10 years. The only time he doesn’t whine is when he goes to bed. My dog whines when he sees other dog videos on youtube and sleeps in front of my pc even when the pc is turned off. He also makes sounds like a cat. This is so weird. Is my dog gets scared of or does he love to see other dogs in videos? He doesn’t whine when he sees real dogs – instead he barks at them. He is a 2 year old Indian Mongrel and I adopted him 14 days ago. Does anyone know anything about this? I have a Jack Russell Terrier along with my sister’s 2 dogs, one of which always sits with me. My jack russell Buddy has a thing with chasing his tail and barking. He does it if I have company or the other dogs are next to me. Also if anyone comes in my room and I am in here he gets very aggressive barking and showing his teeth. Does anyone have a clue how I can get him to stop this behavior? Also, I am disabled. Sounds like an attention thing. He’s chasing his tail bc he is anxious the other dogs “have” you. ABSOLUTELY IGNORE him. If that doesn’t work, try to CALM him & let him know it’s OK. He may be nervous that the other dogs aren’t SAFE & he’s not brave or aggressive enough to bark AT THEM. Let him know by gently petting him, soothing him, & looking at him as u tell him it’s okay. He’s barking at other people coming in the room bc he’s being protective. My roommate’s dog does that. Calm him down the same way. You don’t REALLY wanna punish him bc he’s DOING his JOB as a dog. He’s not sure if they’re safe so he needs YOU to tell him they’re OKAY. DON’T yell or show ANY signs of aggravation. Just calmly ASSURE him that it’s ok. Allow the people to bend down so he can smell them & check them out, inspect them. Lol. He sounds SUPER fun & loyal, NOT aggressive, JUST protective. Aggressive dogs would do the barking and gritting teeth thing to OTHER DOGS, & he may to strange dogs, especially on a leash, but he’s not naturally trying to fight. It might help too if you throw & play with him while other dogs are on you….so he’s getting your attention to…..if u have a rope with a ball on it that u can play tug a war maybe. Im disabled too tho & I have tons of pain do I know it’s HARD to rough around with them. I prefer me a lap dog personally. Hahahaaa!!! Best of luck!! !